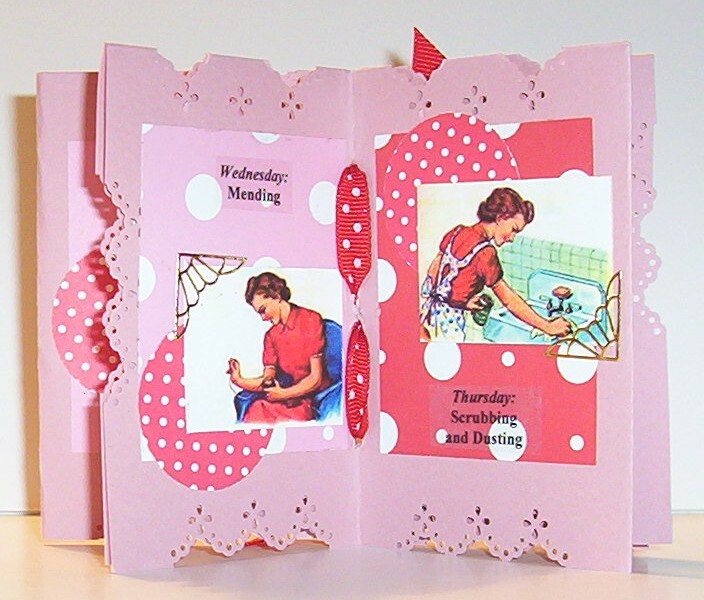 Weekly Rituals of a Domestic Goddess is a one-sheet book created with punched edges resembling eyelet and bound with a red polkadot ribbon containing vintage scans of kitchen curtain fabric and images of women employed in household chores. 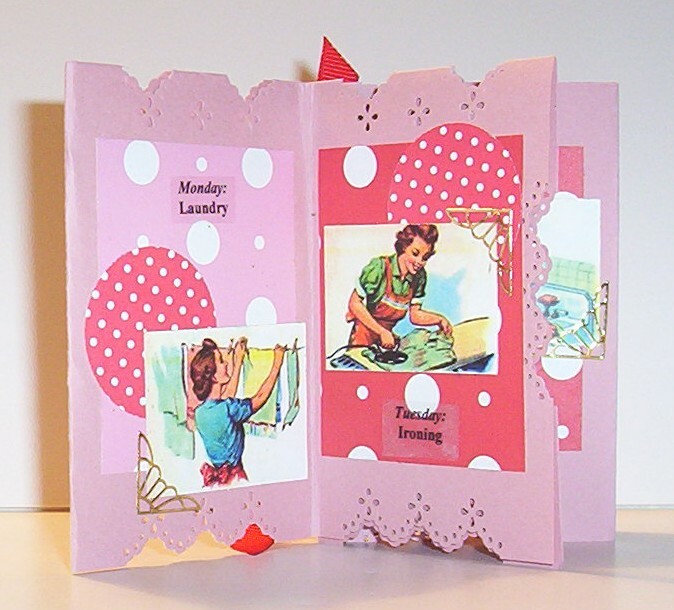 Women created a weekly ritual of domestic chores: Monday-Laundry, Tuesday-Ironing, etc. Covers are embellished with pearls and crystal flowers. 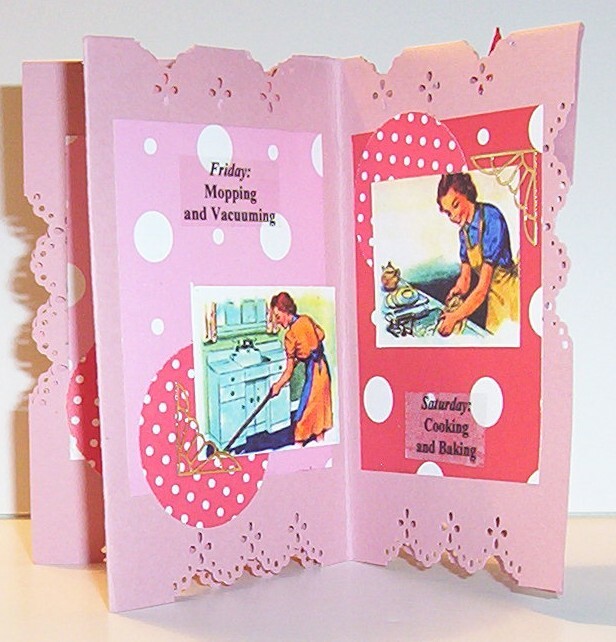 Enjoy this little book dedicated to my mother who went about her weekly chores with religious fervor to maintain a clean and loving environment for everyone!